By Stephen Sherman, April 21, 2012. 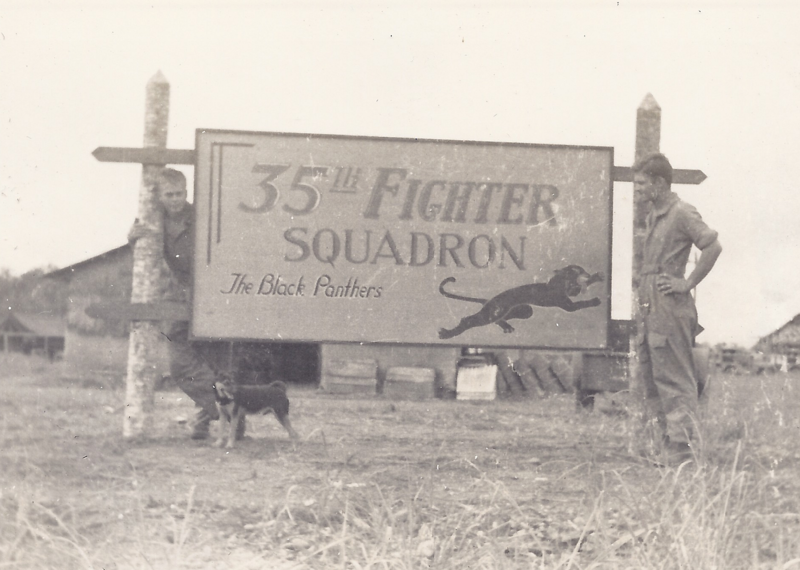 The 35th Fighter Squadron served in the Pacific Theater in WW2, based in Australia, New Guinea, and New Britain, flying P-39s, P-40s, and P-38s. 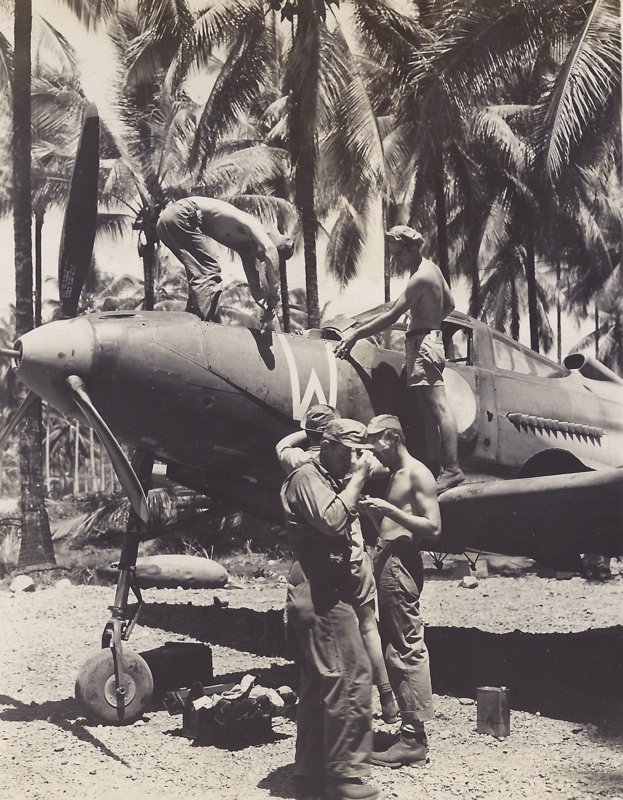 One of the 35th pilots was Major James O. Brewer, from Greensboro, Florida. 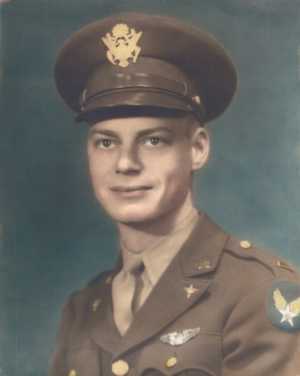 Brewer served almost four years in the USAAF, flying 128 combat missions. He was awarded the Air Medal and Distinguished Flying Cross. His son Randy Brewer generously donated his father's collection of WW2 photographs, medals, and memorabilia to the Museum of Flight in Washington. A small sample of the material is shown here. In later years, Brewer spoke very little about the war, but he did mention three incidents. 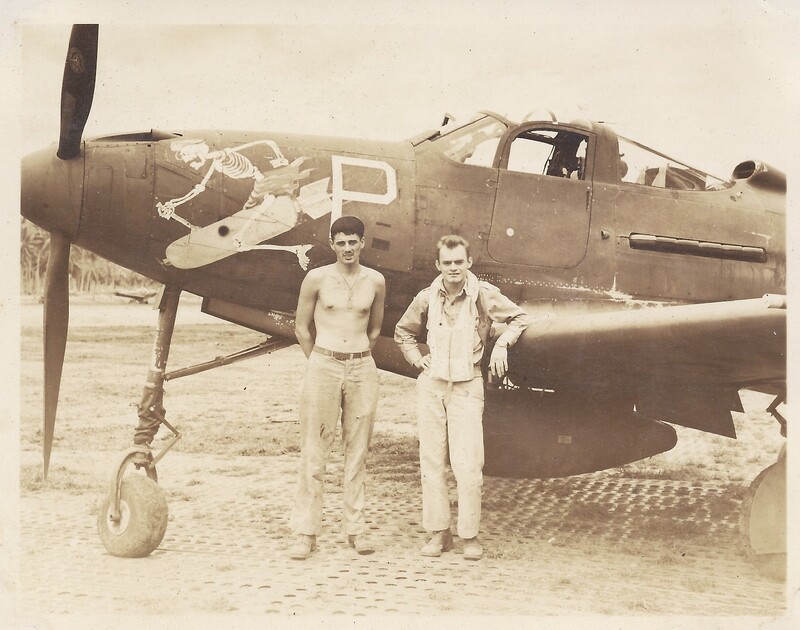 One day, he was flying patrol in an aircraft with a liquid-cooled engine. A coolant line broke, draining out all the coolant, and causing the engine to overheat and catch fire. 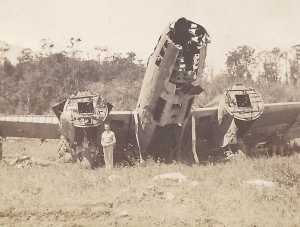 He bailed out over New Guinea, but had the misfortune to land in a river, never having learned to swim. 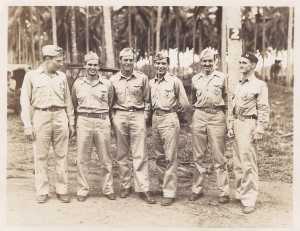 He made his way to the bank, and took two days to walk through the jungle back to American lines. At night he would find a wallaby burrow, fire off his .45 pistol to drive out the animal, and crawl into the nice warm burrow for the night. When he finally approached a guard post, the sergeant was asleep on duty. Brewer told him to drive him back to base in his jeep. But the sergeant replied that he could not do that, as it would be abandoning his post. Brewer drew his service weapon, and said, "You have two choices. I can shoot you right now for being asleep on duty, and I'll take the jeep back, or you can take me back and I won't mention you being asleep on duty." The man took the wiser path. Another time, the pilots found a tree that looked exactly like a pecan and had similar-appearing nuts. 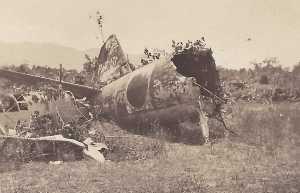 One pilot ate about half a helmet full, and had diarrhea for a week. Apparently the locals would use ½ of one nut when they needed a laxative. On one occasion, the Japanese managed to attack Brewer's base. he then found out that a man could dig a hole in hard earth with his bare hands given the right motivation. One pilot survived in a Quonset hut, and described the sound as like "hail on a tin roof." 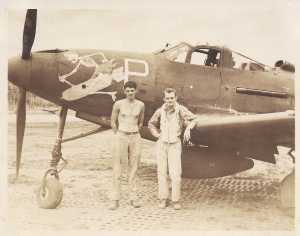 For much of 1943, the pilots of the 35th flew the P-39, an unusual aircraft with a cannon firing through the propeller hub. Below are two examples. 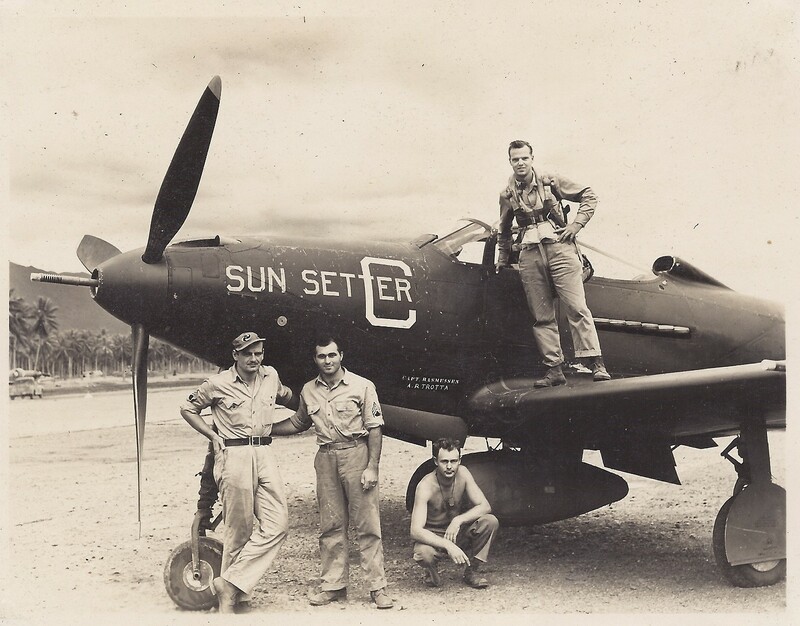 P-39 Sun Setter. Presumably, the pilot standing on the wing is Capt. 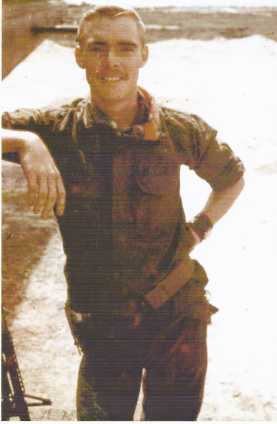 Rasmussen, and one of the sergeants is the crew chief A.R. Trotta. P-39 "P" of the 35th FS. 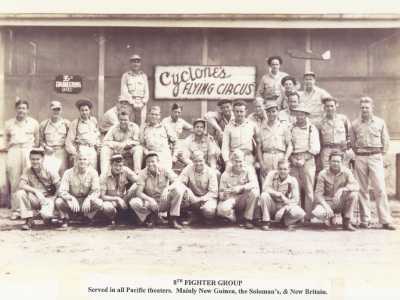 Crew not identified. Noteworthy nose art, of skeleton riding a bomb. 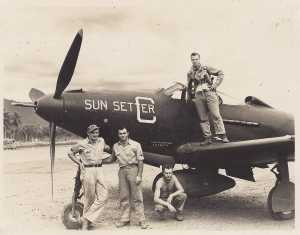 Many more P-39s of the 35th Fighter Squadron. 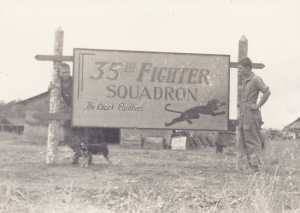 35th FS headquarters sign. Note the dog, an omnipresent feature of all military camps. 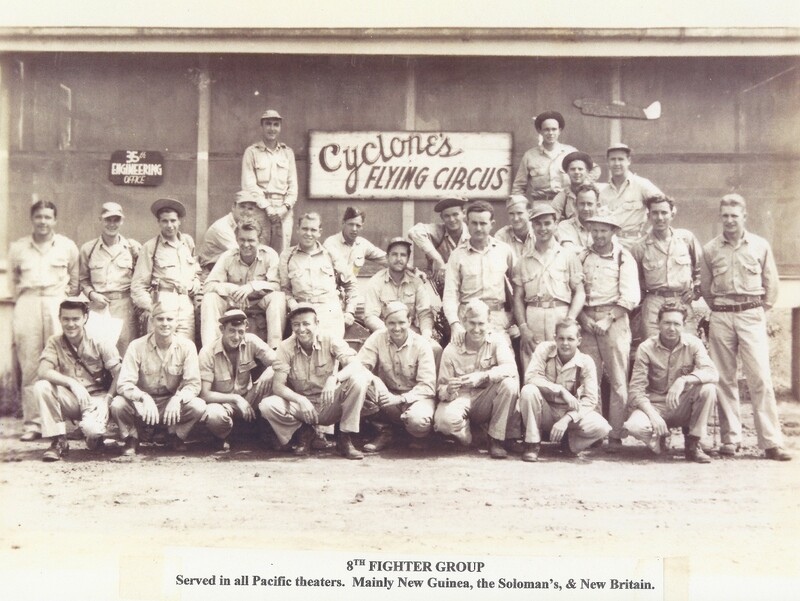 Six officers of the 35th FS, certainly pilots from the wings on their shirts. Individuals not identified. As each man is proudly sporting a medal, presumably this was a photo op right after the medals were awarded. 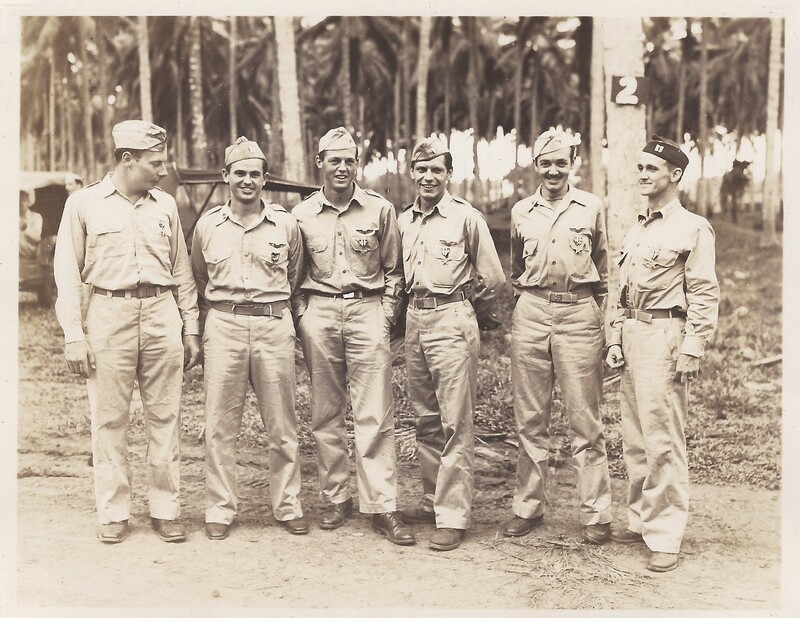 Many of Brewer's photos show medal award ceremonies, performed in theater by senior officers. 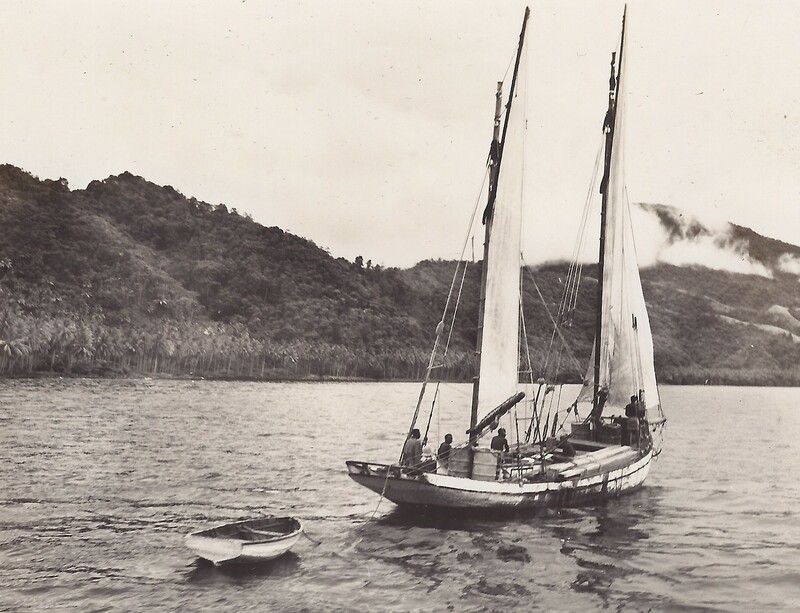 Sail boat, New Guinea or New Britain. A two-masted craft with a crew of five local men. Four 55-gallon drums on deck and a dinghy in tow. A local family(? 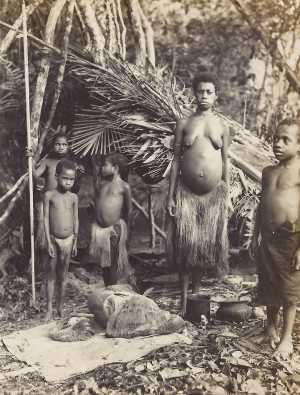 ), in New Britain or New Guinea.